Everyone knows the party capital of the world is Brazil – no one does a party or a parade better. The Carnival is a world renowned, yearly celebration of all things flamboyant, colourful, and fabulously Brazilian. Luckily for us, this December and January the Sunshine Coast has its own little slice of Carnival for the New Year, with Circus Rio in town between December 30th to January 13th, presented and hosted by the Australian National and International Circus Management team at our very own Sunshine Coast Stadium. 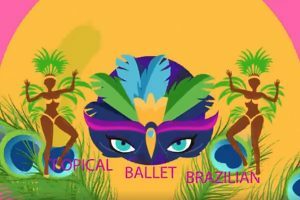 The performance promises to bring the heat and flavour the Brazilian people are known for, but boosted to eleven with acts unlike any other. A performance that was conceptualised amidst the explosive party scene of Rio’s Carnival in Brazil has been transformed into an epic celebration of colour, magic and the capability of the human form. 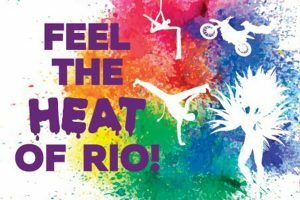 The performers involved in bringing Circus Rio to Australia are internationally renowned for their work in the performing arts sector, individuals that have mastered tricks rarely performed within the industry have finally been given the opportunity to wow the Sunshine Coast with their talent. Bursting through the backstage curtain and into the ring you will find aerialists dangling and dancing across the ceiling, acrobats flipping, spinning and twirling their way around the air above you, over your very seats – ballet dancers gliding to that Brazilian rhythm, a fiery motorbike show, and finally sit on the edge of your seat as you witness the incredible artistry of a capoeira fight display showcasing the skills of the incredible martial art native to Brazil. 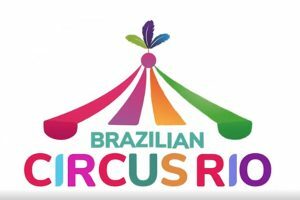 Of course every performer will be representing their home country style with costumes ripped straight from the Carnival with more feathers and sequin than you can shake a stick at… after all… this is Circus Rio! 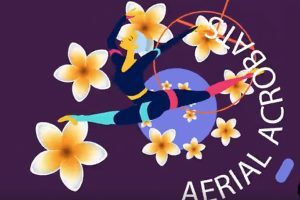 This event is sure to amaze and stun even the most sullen of moody teenagers, with something to take everyone’s breath away and it’s just the appetiser to a stellar year of fun on the Sunshine Coast. For more information on the event itself, and for ticket pricing visit the event’s Ticketek page and prepare for an unforgettable experience with a fiery, international flavour.